Theology In Process | Now we know in part; then we will know fully. This Christmas my wife, three kids, and I travelled to Southern Manitoba. In fact, all of my family travelled to my sister’s home in Morden. My parents, siblings, and all the kids. Sixteen of us in all. While the “City” of Morden may boast many things, tropical weather over Christmas is not one of them. There were a couple of days that registered at -40c with the windchill. Over the radio on New Year’s Eve came the words, “Happy New Year! Don’t leave your house if you don’t have to; you may freeze to death.” You might think the voice was joking. I did not. The extreme temperatures had one benefit, however. They kept us all close together in the house. I love my family and we have a good time together. It’s a bit chaotic at times with kids running everywhere and me acting like I’m 13 again, but there are lots of laughs, games, and priceless times with great conversation around great food. We value these times together, especially because they don’t happen too often as we’re spread out around the country. My family is not perfect. We bump heads now and again (Lord knows I’ve caused my fair share of tears). But they’re my favourite people. I’m proud of them. We can get deep and we can also get the giggles over the stupidest things. We support each other as best we can, and without a doubt we know we can lean on each other. Peterson lived his advice. He was a part of a small community church, despite his worldwide fame. He would often speak of the beauty and opportunities found within such an “insignificant” and imperfect place. Almost a decade ago my wife, kids, and I moved from the West Coast to Hamilton. We landed in a beautiful little area of the city called Locke Street which was within biking distance of McMaster Divinity College, the reason for our big move. Very intentionally we wanted to invest and participate in a church that was local, small, and different. Having grown up and worked in evangelical churches of decent size, my wife and I were looking for something a bit different. That’s when we stumbled into St John’s Anglican Church: “The Rock on Locke.” While our time living in the area and attending St John’s was only two semesters long (8 months), that experience forever shaped our understanding of church and my ministry. At “The Rock” we found a small church of kids, adults, and seniors who immediately welcomed us. Inside that beautiful old building was a family of people who genuinely cared for each other and worshipped Jesus together. While they deeply cared about their neighbourhood and were always thinking about ways to demonstrate service and love to the community, people were not flooding through their doors asking to be baptized. The sound system made funny noises. Polished, entertainment, and performance were not words I would use to describe the gatherings. It was not a perfect church. It was not a “full-serve” kind of place. And while my family didn’t experience any drama during our short time there, I think it’s safe to assume that doesn’t mean it didn’t or hasn’t existed. But what it was, was beautiful. The priest, David, was a warm, intelligent, thoughtful, soft-spoken man who was influencing the church to become those same characteristics simply by being himself. He was a gift. We went on Sundays. We went to the potlucks. We helped where we could. We had a great time at the winter retreat watching everyone perform in the talent show. My one year-old daughter was baby Jesus in the Epiphany pageant. It was family. And I am so grateful for how that church cared for my family, let us serve, and shaped us. For whatever reason, seeing that Peterson quote took my mind to our experience at St John’s and my experience over Christmas. The unifying image being a small and intimate family. And that makes me smile. Here I am now, seven years into starting a new church and honoured to be its pastor. And as I think about Peterson’s quote, Christmas with fifteen other family members in the house, and my experience at St John’s all those years ago, I realize how blessed I am to be a part of a church that reminds me of all those things. My church is not glamourous. We’re small. We’re chaotic. We’re not polished. We’re “insignificant” by a lot of metrics some might use. But I love us. I always look forward to us. In our diversity, relationships, conversations, eating together, laughing together, crying together, working through tensions together, we’re experiencing the church in all her beauty. I count everyday I get to serve this church as a gift. So cheers to all the little churches out there. You are extremely significant. We put up this sign a while ago. 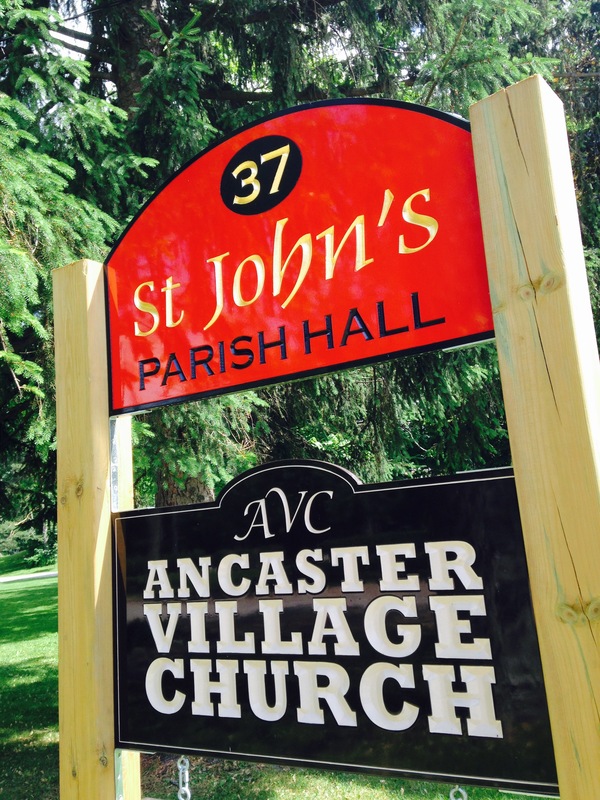 It tells all those who drive by that Ancaster Village Church gathers at 5pm on Sunday evenings in St John’s Parish Hall. But for me it represents so much more. I see it as a reflection of something far greater which is on the move these days. In simple terms our church rents this space from St John’s Anglican Church. But for both of our churches this is more than just an exchange of money for the use of space. We see this as hope and mission. This afternoon I spent an hour in prayer with the priests of St John’s Anglican. Praying for this great city with them is positively inspiring. The comedy of me, a sacramentally deprived rebellious Protestant, being welcomed into relationship with them is why, in the words of the Roman Catholic JMR Tillard, I believe, despite everything. There is something in the ecumenical air these days. I’m hearing more and more stories which confirm this. We — as in the Church — are finding partnership, relationship, common purpose, worship, and mission around the highest common denominator. This is different than my understanding of some past ecumenical dialogues where the commonality was found in the lowest common denominators. Where the conversation was once founded on the understanding that we couldn’t agree on the big things, so instead we’d look for unity in the small things, we are now realizing that it’s in the biggest thing (person) where our unity is found. We’re standing around the Table of Bread and Wine with a look in our eyes that says, “this is all we’ve got. Him.” In some cases we’re still not comfortable enough to break the bread with each other, but we’re looking at all of those things that exist around that Table of Bread and Wine with a different, more gracious, understanding of each other. My hunch is that the fall of Christendom has graciously led us to this place. For that reason, among many others, I welcome our place as the church in exile — the church on the fringe of culture. Exile helps us remember who we are. And as we’re remembering who we are, we’re looking around and realizing that we have so many sisters and brothers who might dress a little differently but are on the same team. A few weeks ago I was honoured to lead communion/Eucharist for a group of ministers and church leaders who reflected at least a dozen different denominations and traditions. It was Ephesians 4 in real life. It was beautiful. We came to the Table together, prayed for each other, and were sent out in mission together. In three weeks I will once again administer the elements alongside my Anglican friends in their gathering to which they invite our church. We find commonality at the Table. It’s incredible. All of our respective bells and whistles, although they matter and are (mostly) beautifully unique and distinctive, are simply reflections of the one who brings us together and unites us. There are few things these days which excite me more. We’ve got a ways to go. Lord knows there are those within my own tribe who think we ought to tighten up the ecumenical guidelines lest we get too comfortable with those guys. But whatever. Redemption is here. Redemption is coming. And I’m convinced that one of the greatest ways this world will experience hope is through the church, in and with all her different flavours, coming together as one. There is one Lord, one faith, one baptism, and one God and Father of all, who is over all, through all, and in all. I went back to my job as a youth pastor and quickly began buying up Nooma videos, listening to his sermons from MHBC, and keeping tabs on what he was up to. Velvet Elvis remains one of my favourite books; I still give it to people. Rob’s teaching was instrumental in helping me put words and ideas to my faith. And in many ways his teaching helped deepen my faith in Jesus and his Gospel. However, it was only a short time before some of my peers and “the internet” started picking on Rob. At first he was accused of bad teaching, but that quickly morphed into name calling. Words like “liberal” and “heretic” started to be used (not like anyone could ever agree on what being “liberal” meant, exactly). He got lumped into the emergent church movement which was quickly becoming passé and outlawed in some evangelical circles (though I don’t remember Rob ever claiming to be a part of any movement outside of his home church). And eventually the reality of the, at times, messed-up evangelical machine started making it dangerous for someone to remain a fan of Rob. If you admitted aloud that you liked Rob, you took the chance of being immediately dismissed or labelled in some pejorative way. I still maintain that most of the negative critique of Rob’s teaching was completely unwarranted — the result of clashing Christian cultures and vernacular. Now, a few years later, he’s emerged again and has a new and powerful friend in Oprah Winfrey. Of late he’s been on tour with her and yesterday The Rob Bell Show debuted on Oprah’s television network. And because of all this, the evangelical internet has once again weighed in on Rob and it’s been mixed reviews (see here and here). Now he’s not just a heretic, he’s “new age” and in bed with the empire. Or he’s doing something extraordinary for the sake of the Gospel of Jesus on a massive stage. Everyone is sure they know which option is happening, they just don’t agree with each other. Okay, so none of this is news to anyone. 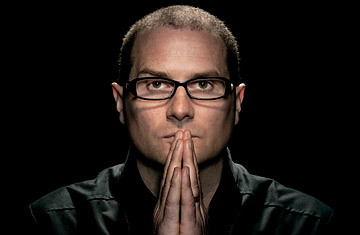 And why am I bothering to write just another blog about Rob Bell? Well, for some reason unknown to me, I’ve had a handful of people ask me in the last month, “What do you think about Rob Bell?” I usually respond with, “You don’t have the time to hear my take.” I’ve also been paying attention to the internet’s latest discussion concerning Rob. So I want to answer that question and I want to give my two cents about the recent internet dialogue. Most importantly, I want to do so in a way that I hope someone would treat me were I in Rob’s shoes (understanding fully that I’m not famous, don’t want to be, and likely never will be). The American evangelical machine, not unlike the American entertainment machine, has a way of making people famous and enabling us as the viewer to successfully remove the person from his or her fame. The fame becomes what we know. The person behind the fame is unknown. Now, much could be said about how some people promote themselves into such status: some people willingly or unwillingly allow the machine to promote them, and some maybe even fight the machine hoping to remain un-famous, but fail. To further complicate things, even if I, from a distance, tried to know the person behind the fame, that would be incredibly difficult because I’m not his or her friend or family; I’m an outsider making judgements about someone, no matter how it is that they became famous. This is dangerous on many levels. Despite the danger, here I go. My family and I visited Mars Hill Bible Church in August 2010 and May 2011. Both times we heard Rob preach. But what I will always remember about those visits isn’t the content of Rob’s sermons (as good as they were), it was the experience at MHBC, a church deeply influenced by Rob (he did, after all, start the ministry), his personality, and values. And I loved it. I’ve visited several “famous” churches in the States. They all had several things in common: big shiny expensive spectacular buildings, book stores filled with the pastor’s writings/dvds/cds, their own curriculum for the world to purchase, and an aura of corporate America that always made me very uncomfortable. MHBC had none of that. Not one ounce of it. It was an old abandoned mall that was donated to the church when they outgrew the run-down warehouse in which they were meeting previously. It didn’t even have a sign out front. The thousands of people that walked into that building over the weekend were only greeted by a 3×10 inch sticker on the doors that said, “Mars Hill Bible Church.” Inside, well, it was an old abandoned mall with new carpet and paint. That’s it. The Sunday School classes were the old stores. And the large gathering space was what used to be a Zellers. In the middle of that space was a platform about 15’x15′. No big lights. No big show. Simple. In fact, the one thing that MHBC had that I never saw in any of those other churches was racks of Bibles at the start of every aisle for people to take to their seats and use during the service. And the service itself was as plain and simple as you could get. They didn’t even dim the lights. And no book store. I couldn’t have bought an “I Love Rob Bell” t-shirt even if I wanted to. There was a welcome table in the foyer that consisted of a handful of different sheets of paper to tell you about what was happening at the church, but there was not one inch of that place dedicated to its pastor. So there was this church of a few thousand people with their “superstar” pastor, and you’d have sworn that no one in that building knew any of that to be true. It was a breath of fresh air. Humility. A sense of their smallness in the grand scheme of things. And an even deeper sense, for me anyways, that something powerfully spiritual and meaningful was taking place within those walls and then out into the community. It was the only big church I’ve ever attended that felt small. For these reasons, I have never bought into the idea that Rob is out to make a name for himself. It just doesn’t fit. The second time we visited MHBC was only weeks after the release of Love Wins. Rob preached from 1 Corinthians and then led the congregation into communion. But it was evident that he was shattered — broken. He was visibly sad and came across beat up. He asked for care from his friends and asked that the church would break bread with him, symbolizing the care and compassion of Jesus in the midst of their community. Again, I felt a sense of authenticity and genuine desire for Jesus’ presence in and through the church that has therefore always made the caricature of Rob, suggested by his critics, sit uneasily with me. Liberals, if there are any true liberal Christians left, don’t live into resurrection. Now Rob is working with Oprah. Not surprisingly this has come under fire. He toured with the likes of Deepak Chopra and has since been lumped into that camp. And now his new show is being slammed by some evangelicals for being a capitulation to culture, liberalism, the “empire,” new age philosophy; they say “he’s watering down the gospel”… and the list goes on. All this from the 30 second teaser that’s been out for the past few weeks. These recent events have once again brought up the notion that Rob is a lone wolf, accountable to no one, somehow outside of the church, and dangerously making up his own religion as he goes along. I find this to be a complete misnomer. It’s true, responding to a question about which church he currently belongs to, he said, “We have a little tribe of friends…We have a group that we are journeying with. There’s no building. We’re churching all the time. It’s more of a verb for us.” But again, I find this to be a simple case of in-house bickering about vernacular. Is he a registered member of a denomination or community church? Not that I know of, and not that he’s making public. However, if you’re into Gungor or their project, The Liturgists, then you’ll notice that Rob seems to be a part of that “tribe.” (He also seems to be spending more time with Richard Rohr these days.) Now, you can critique these individuals all you want for their theology, but it seems to me like they’re living out a form of community. From what I know off them, I chose to believe that within that community are opportunities for accountability, discussion, critique, prayer, and Table. I’ve seen mega-churches do far worse. So this, for me, is one of those moments when I can choose to believe the best in someone, based on my limited and very distant connection to that person, or I can decide to take a stand and publicly denounce this person and intentionally work against him or her, believing that this approach is somehow more beneficial for the cause to which I subscribe. I choose the former. Do I plan on directing people to Rob’s new show? No, not really. But I certainly won’t be blogging about the perils of watching it, because my hope isn’t with Rob Bell somehow using his stature and position to “save” or “rescue” Christianity from the grip of rampant secularism. I hope he uses his position well. I hope he helps people come to know the hope of Jesus Christ. I hope he helps people to see and realize that Christianity can handle intelligent conversion. I’m actually inclined to believe that he will, in fact, do those things. But whether he does or not, I’m a Christian. My hope for this world is in Jesus and his church, not in Rob Bell. Though I would very much like to grab a cold beverage with him someday.